When a team has reached the NBA Finals for the three years in a row and still retain the hunger and drive to make it four in a row, you have to watch what you say about them. Any great team will have ups and downs which mean you may think that they are no longer at their best but these are the teams, packed with the players, who come up trumps time and time again. As Miami Heat cruised to a 3-1 lead thanks to their 102-90 win over the Indiana Pacers, you get the feeling that this game may have been won and lost before the players even stepped foot on the court. It is important to do your talking when the game is underway and this is why Lance Stephenson of the Indiana Pacers may be receiving a stern talking to from his team-mates today. Before the fourth match, Stephenson went public on his thoughts that LeBron James was weakening and was not as strong as he used to be. This was in retaliation to James getting involved in some trash talk during their third game of the series. If Stephenson thought he was going to get the upper hand on James by calling him out in such a public manner, he was badly mistaken as James delivered 32 points and helped himself to 10 rebounds. This 3-1 lead sees the Heat one win away from making it to the NBA Finals for the fourth year in a row. Stephenson was only able to pick up 9 points and it was notable that he only sparked into life after the game had slipped away from the Pacers. There is a lesson to be learned and Stephenson will need to deliver a massive game in the 5th match to make it up to his colleagues and fans. The straightforward victory for the Heat was even more pleasing when you take in the fact that Heat player Chris Andersen was unable to play in the game, with a thigh contusion ruling him out of the action. 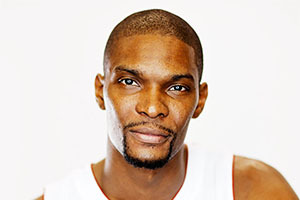 The success wasn’t just down to James though as Chris Bosh, coming in for Andersen had an excellent match. Bosh delivered 25 points in total and with Dwyane Wade adding 15 points to his team’s tally, the high scoring from the Heat was as much down to the team effort as it was to individual brilliance. The Pacers leading shooter was Paul George who grabbed 23 points and David West was able to chip in with 20 points. In reality though, the Heat took control of the game from the very start, playing with an intensity and energy that blew the Pacers away. Bosh was the outstanding player in the first quarter and then LeBron James took centre stage delivering offensive and defensive quality in the second and third quarter. 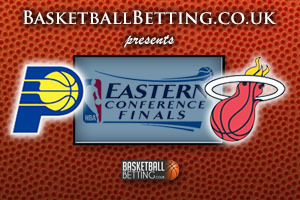 If you are looking to place a bet on the 5th match in the Eastern Conference final, you will find that Bwin is backing the Miami Heat to end the series there and then. This is because the Heat is priced at 1.67 to clinch the tie while the Indiana Pacers are listed at 2.25. The Heat are by no runaway favourites for the game, so you shouldn’t think that it is in the bag but if the form of Game 4 rolls over into the 5th game, there is only going to be one winner. With the intense media focus and attention on basketball players, it is inevitable that comments will be made that can spur players on. When it comes to the build-up to Game 5, you should expect to see the Pacers focusing on their own game.